Kings Security has teamed up with incident reporting software, Facewatch, to relieve pressure on police resources for tackling low level crime, by using the tool to report incidents remotely. By integrating Facewatch into the services which they already provide to third party clients, Kings Security is able to report a crime online, submitting video evidence of an incident, complete with a witness statement from the acting security officer, removing the need for police call outs. With police budget cuts dictating a shift in priorities, Kings Security believes that this new partnership will allow them to alleviate the pressure on local police forces, while greatly reducing the time between reporting an incident and submitting a meaningful body of evidence to help drive convictions. 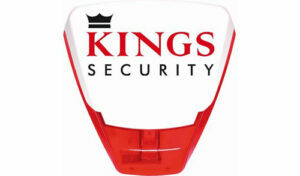 Kings Security’s Head of Strategic Engagement, Rob King said: “By teaming up with Facewatch, we not only save our clients resources, by preventing staff from being taken away from their customer service point to report a crime or download CCTV, but greatly reduce the amount of time required by police to report a crime. We are currently piloting the scheme with both the Metropolitan and West Midland Police forces and initial results are very encouraging.